There are many ways in which you as a parent can help your child develop independence, concentration, willpower, motor control, self confidence and a sense of judgement. Learning can take place anywhere as it is a continuous process. In addition to the school, learning also takes place in the child’s first two environments – the home and the neighborhood. Love and respect your children. Spend more time and communicate with them. Help them participate in school activities and events. Take stock of their skills and interests and provide ways to develop their skills and interests. Comparing your child with others and their own siblings is not advisable. Try to exhibit only positive emotions in front of them. Establish a routine for meals, bedtime and study. Allow them to do things on their own under guided supervision. Study with the child as often as possible. Converse in English to enable and feel comfortable in the school environment. Read short stories with values in clear and simple English. Colour and scribble to refine fine-motor skills. Practice on slates/roller boards at home. Listen regularly to CDs available in the market on rhymes and simple stories. Be a “Role Model” and teach your children the basic values and positive attitudes, which will help them throughout their lives. Be patient and be firm to grant them suitable privileges. The birth of your child is a very special and exciting time! 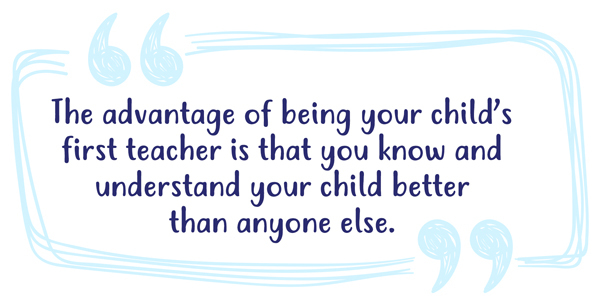 You want the best for your child and are eager to help them reach their full potential. Research on brain development suggests that experiences during the first three years of life have a major impact on your child. All children are special, with their own unique personality and abilities. Developing and guiding these abilities begins at an early age. Research shows that children who experience a variety of stimulating play activities have a greater chance for success in school and in life. Play helps children learn new skills, build confidence and develop healthy relationships. 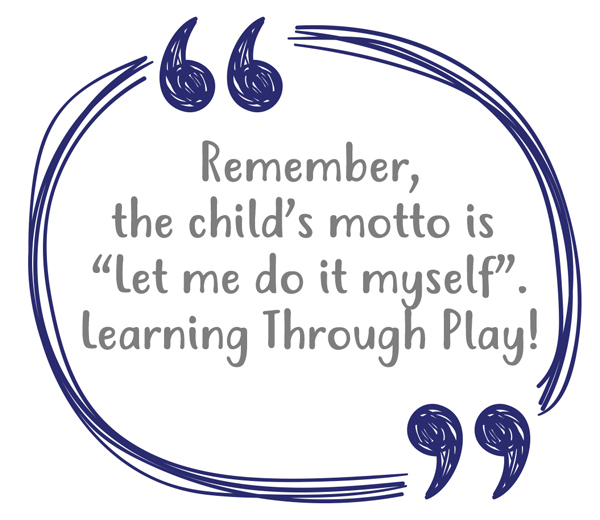 Together, you and your child will discover many exciting ways to “Learn Through Play”. Each area is equally important and plays a significant role in a child’s total capacity to learn. In teaching, it is important to remember that every child is different from every other child. Teaching skills doesn’t require a rigid schedule or a large block of time. In fact, readiness skills are best taught in small doses, with repetition overtime and without pressure. The goal is not to speed up development, but to ensure that each child has the best possible opportunity to learn and grow at each level of development. The early years are a wonderful time; a special time for parents and children. We at Omega International School adopt a curriculum that sets the child on a path of inquiry, observation and understanding.